Recently, I was contacted by Ashley Basil of www.basillabels.co.uk. Ashley asked if I’d be interested in helping promote a Twitter giveaway that he’s running this week, in return for a set of his laser-printed stainless steel plant labels. 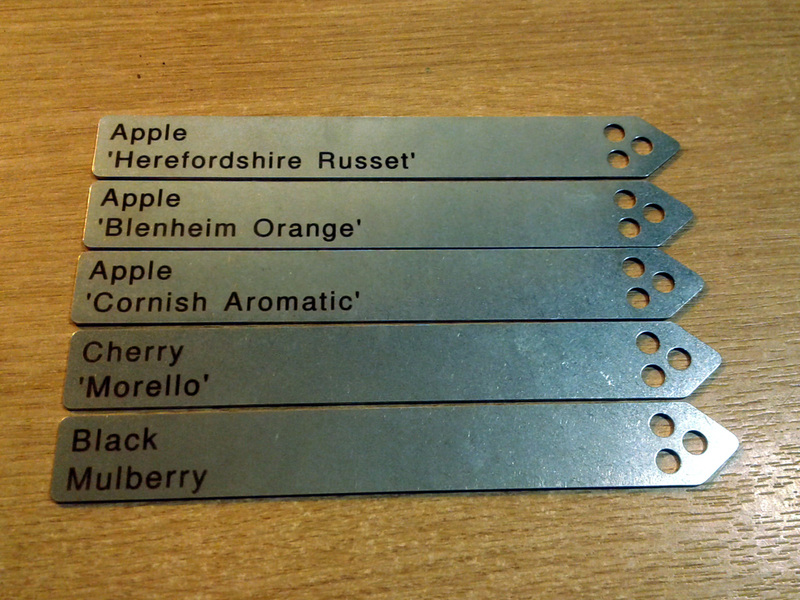 I said I’d be happy to, and asked for a cheeky favour in return: would Ashley mind doing a bespoke set of labels for the trees in our Air-Pot mini-orchard? Thank you Ashley, I love ’em! They’ll look great attached to the tree stakes that we’ll be using when the Air-Pot denizens are moved to their final positions later in the year. Please note: you’ll need to re-tweet the original tweet and follow @Basil_Labels for a chance to win. Or, if you’d just like to go ahead and place an order – standard price £10.00 for a standard set of 5, or for 3 custom labels – you can do so via www.basillabels.co.uk, or Ashley’s Etsy.com shop. Full Disclosure: As I mentioned, Ashley asked me to help promote his Twitter competition in return for a set of labels. This ‘ere blog post is because I like the product and am happy to endorse it. For the purposes of this post I’m going to assume that even if you’re a novice allotmenteer or gardener you’ve already identified and invested in some essential equipment. We’re talking spade, fork, hoe, rake, shears, secateurs, hand trowel, that sort of thing. If you can pick it up in your local supermarket at this time of year, then it’s classifiable as ‘basic kit’ in my book. 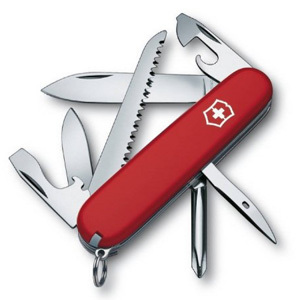 Once you’ve tended an allotment, or a large enough garden plot, for a couple of years, you’ll realise that there are some extra bits and pieces of less-obvious kit that, once you’ve identified a need for them, quickly become essentials in their own right. Some might be right under your nose, others you won’t find unless you got looking for them, either online or at your friendly, neighbourhood garden centre or nursery. But once you do discover them, you’ll wonder how you managed without. A couple of the old boys down the plots strongly advised me to get myself one of these, and by heck I’m glad I did: it’s quite possibly the best £20 I’ve spent for a long while. 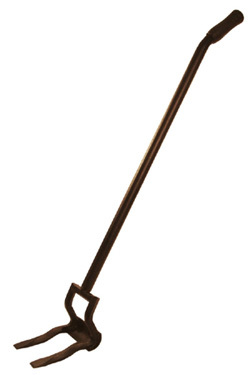 The extra length in the handle – I went for the Spear & Jackson 54″ model (pictured) as I’m 6’2″, but you might want to get a shorter one if you’re not as lanky as me – allows you to adopt a completely different digging position. Instead of stooping and lifting primarily with your knees and lower back (danger! danger! ), you can take a much more upright stance and spread the effort across your shoulders and thighs, as well as your whole back. Short version: much quicker to dig large volumes of soil, longer reach, less back pain. What’s not to like? I first read about this little beauty a couple of years back, in a ringing endorsement by Alys Fowler. It’s the best form of hand-weeder I’ve used to-date. 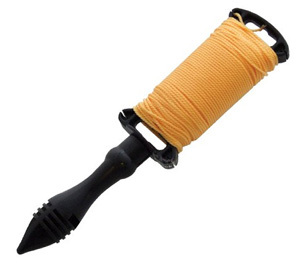 The hook-shaped blade and extended neck enables you to skim along beneath a surface weed like creeping buttercup, slicing through the roots as you go. Or you can use the point for even more delicate, tricky work, such as furtling out hairy bittercress from between the roots of fruit bushes. 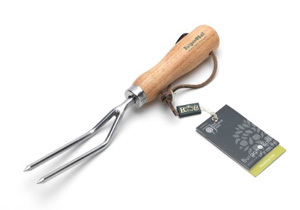 This one is very handy indeed for getting at those hard-to-extract perennials: dandelion, dock, bindweed comfrey and the like. The narrow, two-prong shape means you can focus on a single weed without too much disturbance to nearby plants (not always do-able with a border spade or even a standard hand-fork). 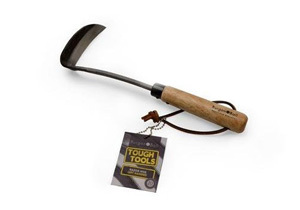 You can then dig around the tap root, loosening soil until the thing can be levered out or, in conjunction with the aforementioned razor hoe, sliced off deep enough down that it won’t bother you again for a good while yet and will hopefully die for lack of stored carbs before it breaks surface. Also great for chasing down long runs of bindweed rhizome. Unless your allotment site is blessed with a brew room (which ours will be soon, as it happens) then chances are you’re going to need to supply your own hot beverage of choice. We started out with a Thermos flask, which turned out to be a bad idea. Four months into ownership, I was giving it a clean out and the inner glass container shattered, explosively. According to various product reviews that I subsequently read, this is quite a common problem. 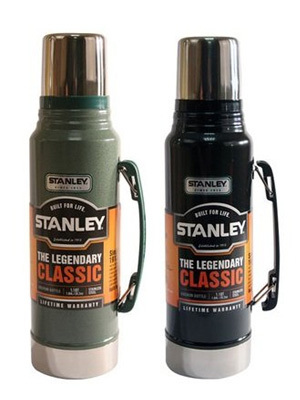 So to replace the self-destructing model, we opted for a stainless steel Stanley Classic Vacuum Flask instead of another Thermos. It’s shiny, tough, cleans up nicely and, most importantly, keeps a brew – four or five good-sized cuppas in our 1L version – nice and warm for a good three or four hours at least (we’ve not needed to test it for longer just yet). I’d say it’s worth spending a bit extra for something a lot more robust. I’m no allotment work clothing purist: I firmly believe you should feel free to garden in whatever you find most comfortable and/or useful. But for me, you can’t beat a good pair of what they’re now calling ‘cargo’ trousers (they used to be ‘combat’ trousers when I was a lad because you had to go to the army surplus store for a pair, but times have changed). 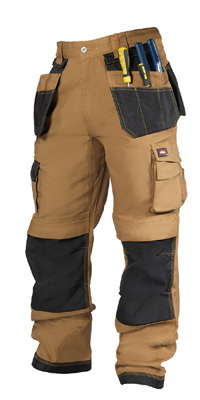 It’s all about the pockets for me, and the range of easy-access leg pockets on a good pair of cargoes will beat the limited options on a pair of jeans any day, particularly at seed-sowing time. The ones I’m currently wearing are cheapish pairs from ASDA but I’m sure higher quality alternatives are available (like the Lee Cooper bad boys pictured and now on my Wishlist) if you want something a little longer-lasting (and with even more pockets!). “What’s wrong with a bit of garden twine, or good old string?” I hear you cry. Well, nothing whatsoever, but builders’ line has a couple of small-but-significant advantages when it comes to edging, marking out etc. For one: it’s bright yellow, which aids visibility a tad. And for two: it comes on a handy spool, which makes winding it back up and then storing it – without it magically transforming into a tangles rats’ nest of knots overnight – a breeze. For a few quid, it’s worth grabbing a couple of spools’ worth and keeping them in your shed, greenhouse or allotment bag. 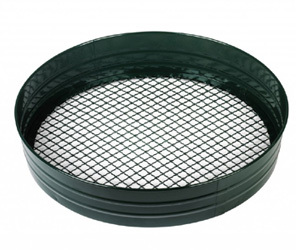 You’ll often see the smaller, potting-sized sieves, or larger plastic models, in supermarket selections. But what you really want – if there’s a particularly stony or weed-debris choked patch on your plot that you need to break down to a lovely fine tilth for direct-sowing – is a more robust, metal-and-wire job. Far less likely to break if you accidentally step on it (although much more likely to whack you in the shin and leave a hell of a bruise if you tread on the rim, so do watch your feet, folks) and tough enough for you to really smush those clods of earth through the mesh. A tweet from Rob of @RobsAllotment switched me on to this one. It’s a recent purchase, but I already know it’s a good one. I’m not lifting or demolishing anything with it, but I am breaking up a fair few pallets. As any allotmenteer knows, a good bit of pallet timber comes in handy in so many situations: for bed-edging, path-edging, compost-bin making, and anything else you choose to do with it. Previously I tried breaking them up with a hammer and pry-bar, but it was a pain in the neck (and back, shoulders, legs) and I ended up taking a saw to the damn things to chop out various bits here and there… a right dog’s dinner. With a lifting bar, it’s a case of position, tilt, wrench free and you’re done. A couple of minutes per pallet, with a lot less wastage. Price: Varies, depending on materials, size &c.
Hardening off your precious seedlings can be a bit hit-and-miss at the best of times, but you can take a lot of the guesswork out of the process with a decent cold frame. Open the lid when the weather’s toasty to make sure your young plants get plenty of air, and close it again when inclement weather threatens and you’ll be helping them acclimatise properly without (hopefully) running the risk of encountering the sort of heavy, seedling-shredding hail showers we had yesterday. We invested in a tanalised timber model from The Greenhouse People a couple of years back and yes, it did cost around £200, but we’re thinking of it as a long-term investment. With any luck it will still be providing essential protection for our seedlings for a decade or more. 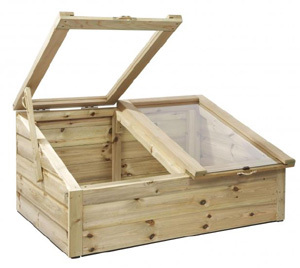 Cheaper versions are available (but sometimes you get what you pay for – our previous, plastic cold frame lasted about two seasons) or if you’re the handy type, then of course you could reclaim some timber and glass and make your own. 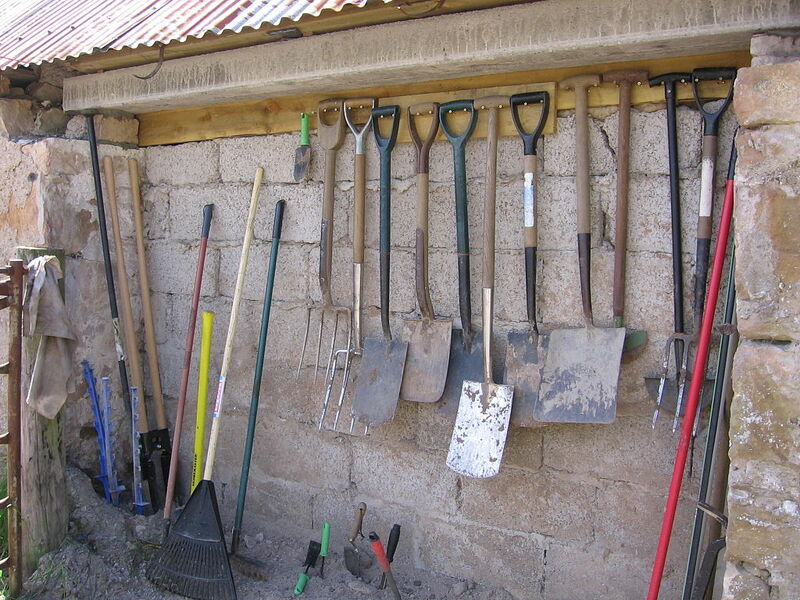 That’s my selection of non-standard allotment gear that’s well worth investing in. Do you have anything to add to the list? Questions about any of the above? Something you’d take issue with, or a counter-suggestion to make? Let me know via the comments, below. Product Images: via Amazon.co.uk or other retailer / manufacturers’ websites.